Schepens provide an efficient and cost-effective international removals service — without compromising the quality of service on which we have built our reputation. We specialise in helping clients who are moving to Denmark from the UK and have a great deal of experience with international removals. Due to the heavy volumes in traffic we transport, we currently offer a regular service to most destinations and we are therefore able to provide more economical rates than other international removals companies without compromising our service. We use a fleet of dedicated articulated vehicles for removals to Denmark. These vehicles run on air ride suspension and boast an adjustable baring system, which ensures little or no movement of vehicle contents. These bars also enable us to create partitions between consignments which prevents cross contamination. Our vehicles are alarmed, offering additional security and peace of mind. Schepens is a family-run business with a proud history and decades of experience performing international removals. We have been helping people move to Denmark from the UK for many years and understand the logistics of the journey. Our primary goal is help customers relocate to Denmark safely and efficiently. We love to make moving a stress-free experience for our customers. Our staff are trained to British Association of Removers standards and have years of experience helping people move to Denmark from the United Kingdom. Our vehicles are specially designed to protect your valuable possessions during transit. We provide durable packing materials, straps and moving blankets to ensure your valuable possessions are safe as you relocate to Denmark. Our experienced movers can pack your delicate possessions using high-quality packing materials to greatly reduce the risk of breakage during your move to Denmark from the UK. Schepens understand the customs rules and can advise customers on the most efficient way to relocate to Denmark and deal with the necessary paperwork. One of the key benefits of using a professional international removals company like Schepens is peace of mind. All vehicles, contents and workers are fully insured. Extended liability cover is also available on all removals to Denmark. PLEASE CALL 01794 323558 FOR YOUR FREE NO OBLIGATION QUOTE FOR REMOVALS TO DENMARK! Copenhagen, Aarhus, Odense, Aalborg, Frederiksberg, Esbjerg, Gentofte, Gladsaxe, Randers, Kolding and Horsens. If you are moving to Denmark in the coming year, use a skilled European removals company like Schepens. Our family owned company has helped thousands of clients relocate to Denmark and know the country well. We will simplify the entire process and help you become established in Denmark. Here are some useful resources to help you plan your move to Denmark. WHY ARE UK EXPATS MOVING TO DENMARK? Denmark has a developed mixed economy with many strong industries including primary production, manufacturing, pharmaceuticals, ship building, chemical manufacturing, construction, and food processing. It is a member of the European Single Market and is a strong exporter of products. Denmark is a fantastic place to move to if you are interested in finding employment, as it has a low unemployment rate and generous working conditions. Denmark is a leader in healthcare research and has developed a world class health care system. The residents of Denmark enjoy better health outcomes than the residents of comparable countries. Denmark is a large country with an incredible landscape. Successive governments have worked hard to ensure the environment is well-protected and has created many beautiful national parks. The Danish people love spending time outdoors and often go hiking, fishing, rock climbing, or swimming. THE FOOD IN DENMARK IS DELICIOUS! Danish people enjoy eating delicious food that is locally sourced. The quality of the produce is amazing and there are many world class restaurants and cafes across the country. The pastries, cheese, beer, and meat are particularly good. Denmark has a high standard of living, low crime rate, and clean environment, which makes it a wonderful place to raise a family. It is also packed with many historical sites, tourist attractions, and incredible national parks for the whole family to enjoy. WHY CHOOSE SCHEPENS FOR EUROPEAN REMOVALS TO DENMARK? 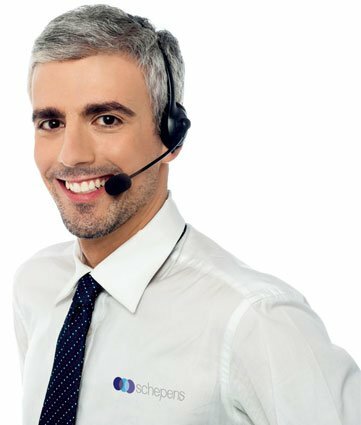 Schepens has built a strong reputation for reliability, professionalism, and efficiency. We are committed to maintaining this reputation while providing the best customer service in the world. Our move coordinators and talented removers will help you every step of the way. Out company performs dozens of removals to Denmark from the UK each year. This has given us an excellent working knowledge of the logistics involved with the journey. The frequency of our European removals also means we can offer clients part load and dedicated load removals. A part load removal to Denmark involves multiple clients sharing a container, while a dedicated load involves a single client booking the entire container. All clients moving to Denmark are assigned a dedicated move coordinator. They will walk the client through the removals process, answering any questions and providing useful advice. During the removal, they will provide the client with updates. They make UK to Denmark removals simple! All European removals receive a 100% free quote. This quote clearly outlines the items being move, the pickup date, the delivery window, the total price and much more. Our quotes are also completely obligation-free quote. All removals to Denmark are performed according to very strict security protocols. Our vehicles are alarmed and use GPS tracking. All removals are performed by professionals who have been security checked and all components of the removal are fully insured. IN ADDITION TO OUR UK HEAD OFFICE, WE NOW HAVE A NEW DEPOT LOCATED IN JÖNKÖPING IN SWEDEN. We are therefore perfectly positioned to help with the logistics of your move throughout Denmark. CALL today on 01794 323558 and lets get the process started!